please consider a donation through the 2015-2016 Commonwealth of Virginia Campaign (CVC). Soho operates locally and state-wide and is listed in the CVC under "Health Education,"
Child and Youth Development," "Literacy," and "Needy Families." 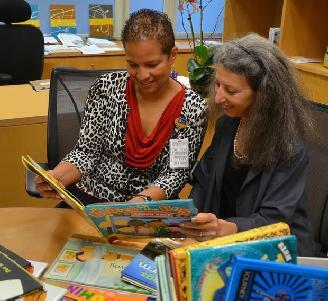 Our CVC Code is 3007.
to discuss Soho's initial UVa Children's Hospital Book Giveaway project. a few examples of the over 100,000 children's books that Soho has donated. at UVA Children's Hospital, Northridge, and NICU. 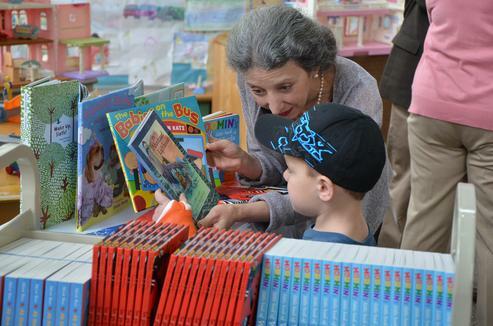 Jeanna Beker helping a young patient select a book from one of the Book Carts. Book Giveaway projects, please Click Here. Thank you for considering the Soho Center as you plan your 2015-2016 giving.